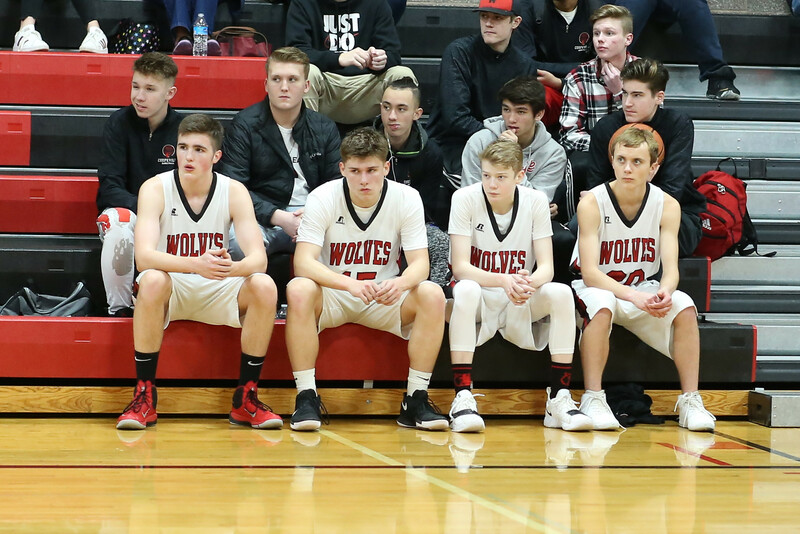 Five Wolves seen in this photo could be playing for CHS during the 2020-2021 school year, when sweeping changes to the state classification system take affect. The earthquake hit, and now the aftershocks will play out over the next 20 months. As expected, the Washington Interscholastic Activities Association’s Representative Assembly passed two amendments Monday at its Winter Coalition meeting in Renton. Now, the biggest question for locals becomes, will Coupeville continue to be one of the smallest 1A schools in the land or will it finally return to 2B for sports competition. From 2007 to today, the WIAA has attempted to keep the number of schools in each classification (4A, 3A, 2A, 1A, 2B, 1B) balanced, which has often meant forcing schools such as CHS to remain a slot above where their student body count would dictate. That changes now, as the first amendment passed Monday returns the state to using hard-number caps, beginning with the 2020-2021 school year. The counts, which cover students in grades 9-11, happen during the 2019-2020 school year. After a school makes its count, the second amendment could reduce the number of students it has to claim. Any schools who serve more free and reduced lunches than the state average (currently 43%), will shave their enrollment numbers equal to the percentage they are over. So, if, say, 51% of a school’s lunches are free and/or reduced, that school will take 8% off its enrollment number before being classified. Schools can only drop down one classification. Current 2B and 1B schools are not covered by the second amendment after they argued it “would negatively impact competitive balance in the state’s smallest schools,” according to a Seattle Times article. Both amendments, which had considerable support, are aimed at improving competitive balance between the “haves” and “have not’s” in the state. Similar arrangements have been used in states such as Oregon, Minnesota, and Ohio. The lone argument in recent years for forcing each classification level to have virtually the same number of schools was it gave schools equal access to qualifying for state championship tournaments. Under the hard caps, if one division ends up with, say, 20 more schools than another, that could be an issue. To deal with that, the WIAA is drawing up plans to expand or contract the standard 16-team state tourney based on how many schools are in a given division. More schools, you could have a 24-team field. 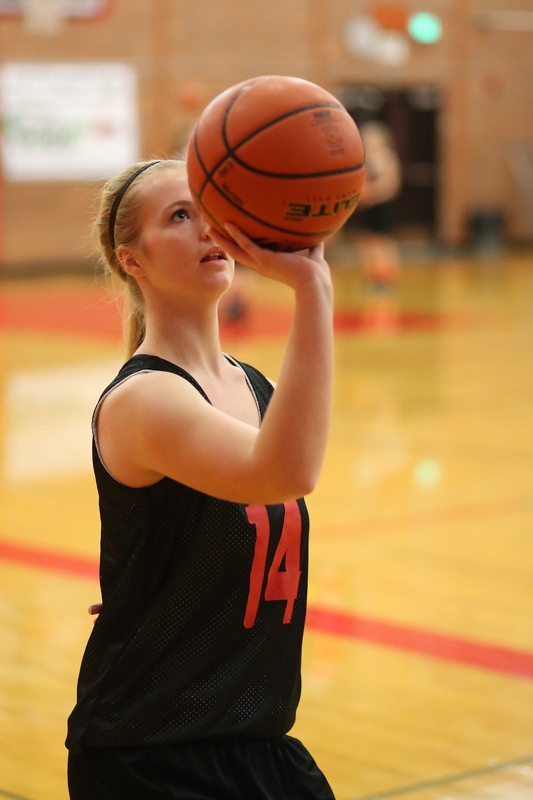 Less schools, a 12 or eight-team draw, or divisions could be combined, as is already done for sports such as tennis, where 1A, 2B, and 1B compete in the same tourney. While it’s not guaranteed Coupeville drops to 2B, it has been well under the 224-student barrier in both recent counts and future projections. For now, the rest of this school year and the 2019-2020 school year are set, with CHS remaining in the 1A North Sound Conference with South Whidbey, King’s, Granite Falls, Sultan, and Cedar Park Christian. In the last official student count, which set classifications for 2016-2020, Coupeville trailed four of those five schools by 120 or more students. Cedar Park had just a 22-student advantage over CHS in that count, but, as a private school, it, like King’s, plays by a separate set of rules from public schools and can bring in student/athletes from outside its boundaries. Once the new classifications are set, they will be in place for four years, running from 2020-2021 to 2023-2024, with schools being able to appeal their placements after two years. Things could get wild across the state, if numerous schools move up or down, which could cause multiple leagues to crumble, expand, contract or be born. If Coupeville moves back to 2B, where it lived for decades, it would likely return to its old home, the all-public school Northwest League. 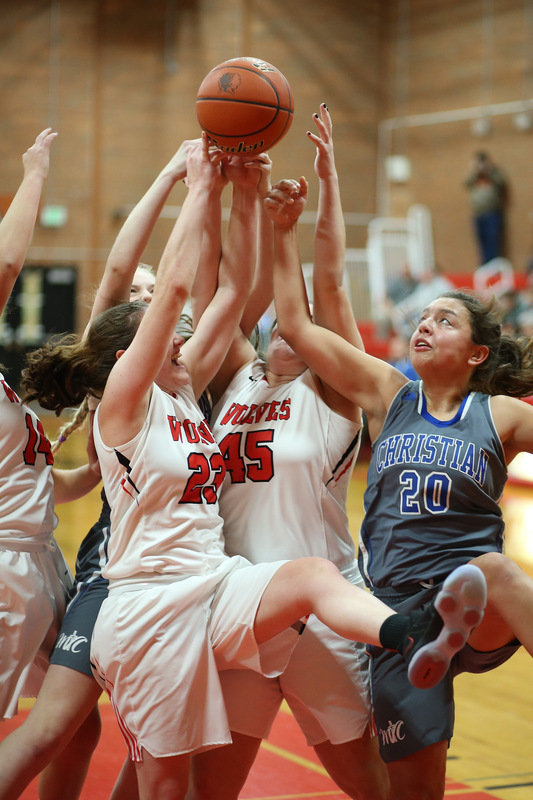 That conference currently houses 2B schools La Conner, Darrington, Concrete, Friday Harbor, and Orcas Island, as well as 1B Mount Vernon Christian. Top the 224-student limit and life as the smallest, scrappiest 1A school will continue, though the landscape could be altered. Of Coupeville’s current league mates, Granite Falls was a 2A school just a second ago, and could have to return. A preliminary version of the free and reduced lunch amendment would have forced swanky private schools such as King’s and Cedar Park to automatically add a certain percentage to their student counts. That would have likely carried them up to 2A, but the wording was changed before the amendment was passed, and private schools will operate the same as public schools. On this one thing, at least. The Olympic League, where CHS just ended a four-year run, could crumble with the new numbers. The 2A division has several schools expected to now be 3A, while the 1A division could completely disappear. Of the three 1A schools the Wolves left behind, Klahowya is expected to move back to 2A after just slipping under the limit in recent years, and then there’s Chimacum and Port Townsend. The former is close to being 2B like Coupeville, but there has also been talk the two schools, who already have agreements for sports such as tennis, wrestling and, starting this spring, softball, will unite for all athletic competition. If they did, they would have to add both student bodies together and likely compete at the 2A level. Alright. 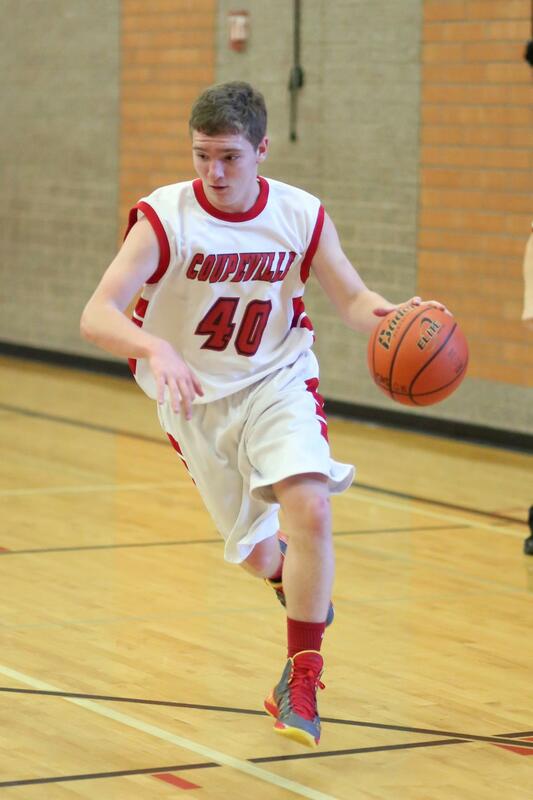 Which underclassman at Coupeville High School is willing to lose an arm or a leg? Seriously. That’s the difference right now between the Wolves being the smallest 1A school in Washington state or the largest 2B school — .10 of a student. We sit 18 days away from the Washington Interscholastic Activities Association finalizing classification numbers for 2014-2016, and the numbers released on their web site Wednesday show Coupeville with 225 students (counting freshman to juniors). The cutoff for 2B is 224.9. So, if the enrollment numbers are stamped and certified Jan. 27, Coupeville will be tied with Columbia (Burbank) as the smallest of 64 schools in the 1A division (which runs from 225-471.9). 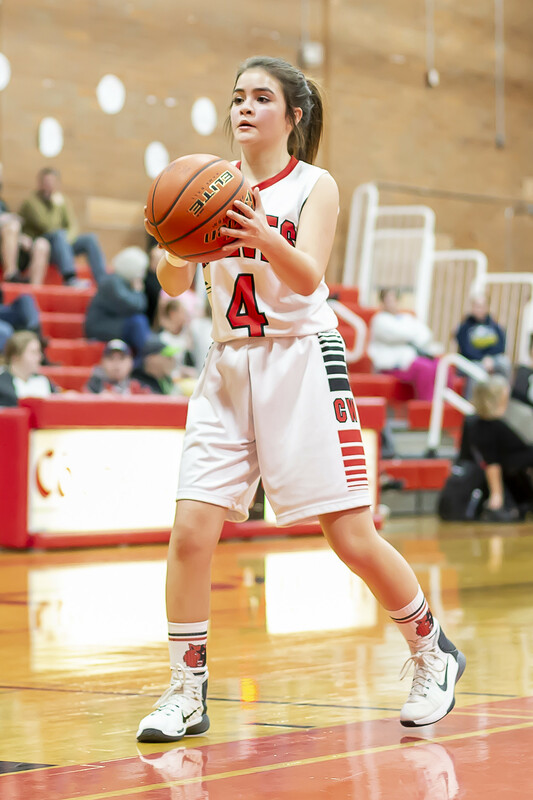 They would also remain in the Cascade Conference, a 1A/2A league where the next smallest school, King’s, has 368 students, and the biggest, Cedarcrest, has 691. You can add Coupeville and King’s student body together and still be almost 100 students short of the Red Wolves. Cedarcrest, Lakewood and Granite Falls are 2A and ATM opts up (a school can play above its enrollment, but not below), while Sultan will drop to 1A, joining South Whidbey, King’s and Coupeville. Now, of course, King’s and ATM are private schools, can offer scholarships to student athletes from outside their school districts and, surprise, are generally the most successful of the Cascade Conference teams at producing sports champions. I am shocked by that. Shocked I say. If CHS officials choose to appeal, however, they could join Warden (224) as the largest of what would than be 60 schools at the 2B level. It would also mean a move out of the Cascade Conference, with the most logical landing spot being their old stomping grounds in the Northwest League. If, and it’s a big if, that league is open to such a move. That league currently has one 1A school (Friday Harbor), four 2B schools (La Conner, Darrington, Concrete, Orcas Island) and three 1B schools (Mount Vernon Christian, Shoreline Christian, Cascade Park Christian-MTL). Might I be the first to propose a straight-up swap? If Friday Harbor is still 1A — and their numbers seem to be missing from the WIAA site, or I’m blind — move them into the Cascade Conference, and send Coupeville back to the Northwest League. Bam. Done. Both leagues are still eight teams, and, in the case of the Wolves, they get a shot in the arm. Numbers do not tell the whole story. Schools with smaller student bodies can, and do, beat big schools. La Conner has 164 students and is the gold standard for athletic excellence. Coupeville, which has struggled mightily as the smallest school, might not immediately become a powerhouse if they’re the largest. But, it would give them a fighting chance. In a sport like football, when the big schools can roll 60-70 players off the bus — all weight-room-carved juniors and seniors (if there’s a freshman, you know he’s a beast) and Coupeville has to call on every 110-pound ninth grader they have to barely top 30 players, something is askew. The answer, to me at least (and I am usually short on facts and quick on half-cocked opinions) is to move back down, if at all possible. Let’s go back to 2B and give the Wolf athletes a more level playing field.